…and so are the baby longhorns. I don’t have a telephoto or anything, our cows are just really tame, in fact the mostly white one kept walking towards me and I had a hard time getting far enough away to get him. Hee!! What cuties!! You don’t eat them, do you?! @ordinarybutloud – And that is why you don’t name them. They are plenty ugly by the time they get eaten…notice the mama isn’t anything to write home about. @Wildflowersp – Ah, good point. So I need only avoid veal, then. @ordinarybutloud – I don’t think I have ever had veal. 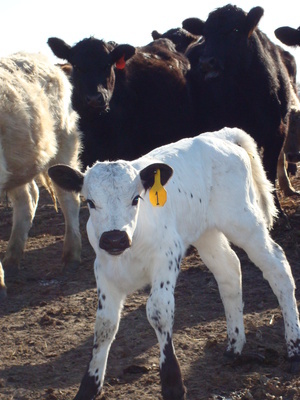 Longhorn calves are the cutest. And they bounce when they run like they had springs. 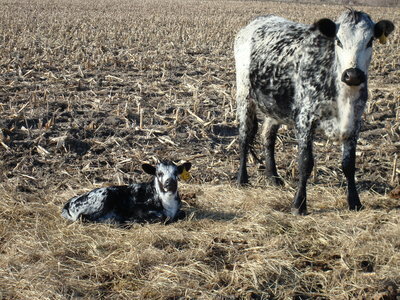 Calves and sandhills cranes are the sure sign spring is here. I’m ready! I’ll take #1 and #58~ oh my goodness. Honestly~ this is why I could never be a cattle rancher. I have issues with cute calves. The white one is adorable. I know a lady who keeps two cows as pets, not calves, cows. She’s a vegetarian, but even so, cows as pets? Just the cost of feeding them makes that a crazy idea. @DMMeyer – Does she milk them? A cow will eat 30-40# of feed a day. @Wildflowersp – I don’t think so. I think they are “rescue” animals, much past their prime. 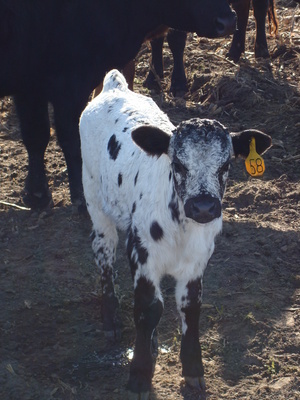 @DMMeyer – A rescue cow? That could be an expensive hobby. I am still laughing in puzzlement at the thought process behind that. And I am secretly wondering what will happen to them when they die…I am glad that is not my problem.